This is old version CM Security Antivirus AppLock 2.11.1 apk for Android, you can install it if you want to downgrade or install old app. It is top Tools apps from Cheetah Mobile. You have also do not worry about the size, because it has the lightweight that only taking up half as much phone memory as other mobile antivirus applications. 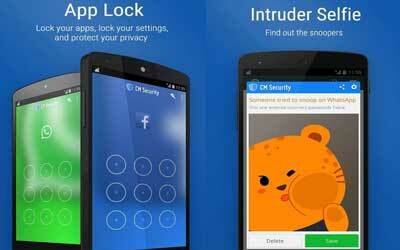 With these features, your device can be more protected, lighter, and faster. For the special features, it comes with the amazing features such as AppLock & Vault, Anti-Theft, Application and System Scanner, SD Card Scan, On-Install Scan, Scheduled Scan, Call Blocking, and Safe Browsing. The AppLock & Vault feature is the fastest and safest applock for android that can lock your photos, gallery, and messages and can be the prevention of your friend or even your children from buying the unwanted application. It comes with the newest feature which can call as Anti-Theft. You can use CM Security Antivirus AppLock for android by locating your phone on a map then let it yell to find it. You can scroll down in the main page of Private Browsing, and you’ll see more news and categories. Now Wi-Fi Security is able to detect ARP spoofing and infected DNS now.